If someone close to you has untreated hearing loss, it’s natural to want to help them. Whether it’s your spouse, parent, friend, or other family member, the best way to help is to urge them to have their hearing checked by a hearing health professional, and encourage them to treat their hearing loss. However, convincing your loved one to get that test is often easier said than done. They may not realize they have hearing loss, they might choose to ignore the signs, or they could be reluctant to use hearing aids. How can you help your loved one experience life to its fullest, and treat their hearing loss? Annual hearing tests are recommended for everyone. Just like you have annual checkups with your physician, you should have annual hearing screenings with your local hearing health professional. You can track your hearing ability and notice any changes that arise. Since hearing loss often occurs gradually, annual screenings are the best way to monitor changes and act as soon as possible. 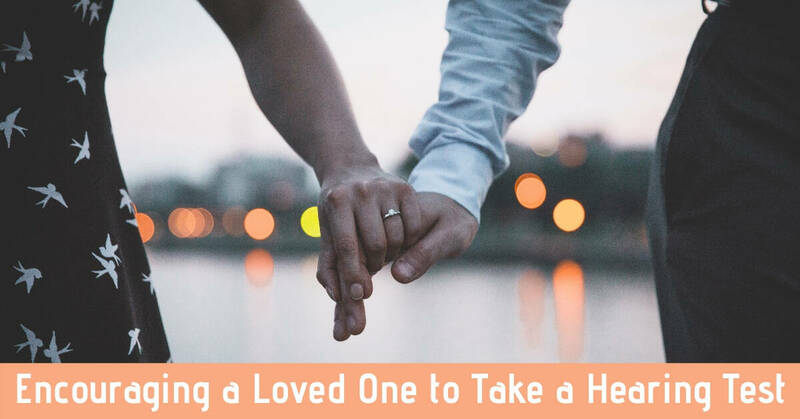 If your loved one’s hearing loss has impacted you so much that you want to help them address it, chances are you understand the importance of seeing a hearing health professional and acting on hearing loss early. Even if you don’t think you have hearing loss yourself, you can never truly be sure until you get your hearing tested. If you go and get your hearing tested alongside your loved one, it might help your loved one feel more comfortable with the process. You can encourage your loved one to take a hearing test by leading by example. Test your hearing, and show them that hearing tests are for everyone. Explain the risk of waiting. On average, people with hearing loss wait over seven years before they visit a hearing health professional. Untreated hearing loss has been linked to heart disease, dementia, and depression. An individual’s quality of life often worsens when they can’t fully engage in the world around them. Relationships are strained and feelings of isolation set in. When your brain becomes accustomed to not fully processing words and sounds, it loses its ability to do so. Explaining these risks to your loved one will create a sense of urgency that may motivate them to make an appointment. A lot of people with untreated hearing loss have similar reasons for not wanting to address their hearing loss. If you’re aware of these common objections, you can prepare an appropriate response. Hearing loss can happen to anyone, regardless of age, gender, or any other factors. Noise-induced hearing loss comes from excessive exposure to sound at high volumes. Hearing aids are more trouble than they’re worth. Some people think that wearing a hearing aid will get in the way of their lifestyle or require a lot of maintenance. Many modern hearing devices automatically change their own settings depending on the person’s environment. Some people actually report that they forget they’re wearing their devices because they integrate so seamlessly with their lives. Wearing a hearing aid will be embarrassing. Some people are embarrassed to wear a hearing aid. Remind your loved one that asking others to repeat themselves all the time is a much more obvious indication of hearing loss than wearing hearing aids. 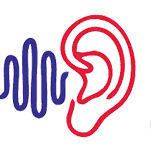 There are many hearing aid styles offering different levels of visibility. Some hearing aids even rest all the way inside the ear and are invisible. Don’t be the only voice that speaks up. It’s hard to convince someone that they need a hearing test if you’re the only one saying so. Recruit other friends and family members to help you in your cause. Ask them to repeat and support the reasons your loved one should make an appointment. Your loved one will be touched by the way everyone around them is looking out for their best interests and agree to get a hearing test to improve their quality of life, and enhance communication. Call Hearing Services of Antioch and ask for our help. Don’t let your family member miss out on the sounds that matter any longer. Contact us today, and we’ll help you convince your loved one of the importance of their hearing health.